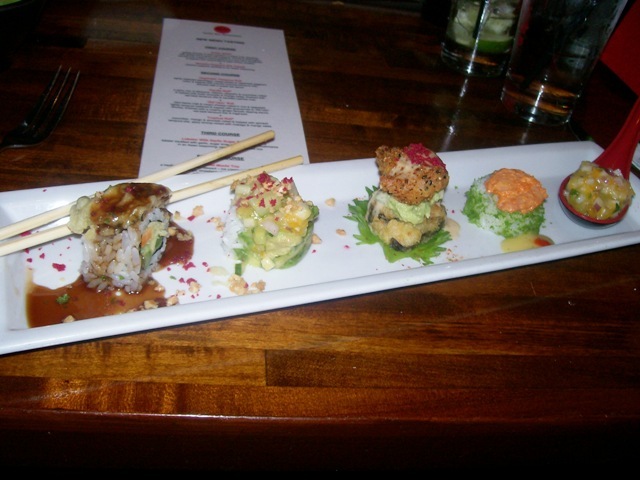 There hasn’t been a time that I have been to Ra Sushi and not heard laughter and lively conversation. There hasn’t been a time I’ve been to Ra Sushi and the restaurant wasn’t busy – as it was on the mid-week evening I was there for a tasting of new menu items. Ra Sushi’s customer base is for the up-and-comers not my over-the-hill gang – not that we’re discriminated against it’s the decibel level of the happy laughter that can be distracting.